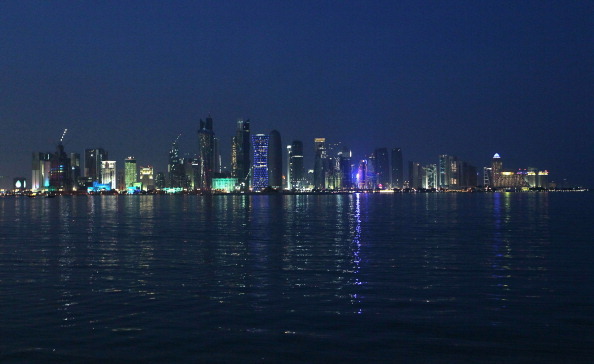 You are here: Home » Is criticism of Qatar 2022 justified? Is criticism of Qatar 2022 justified? When Sepp Blatter announced Qatar as host of the 2022 World Cup, his words echoed around the vast Zurich conference hall where the FIFA Executive Committee had gathered. Then, like a baby taking a breath before crying, came the reaction, one of shock and exasperation. Also, jubilation among the small bid team that had travelled to Switzerland from the tiny Gulf state. “The biggest football joke of all time,” screamed one Norwegian newspaper’s front page. 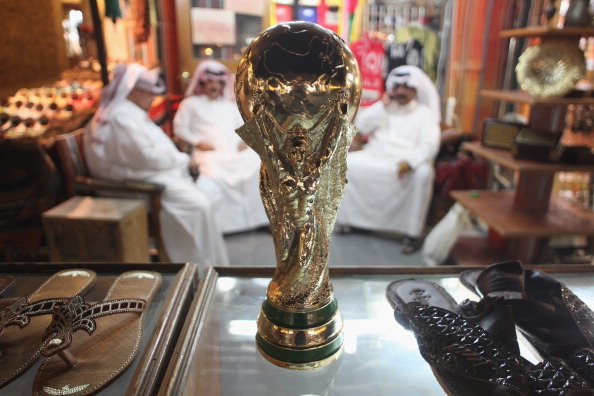 “Qatar has stolen the World Cup,” claimed another commentator. 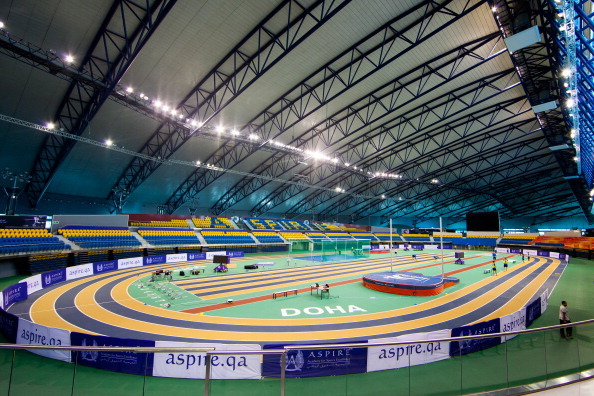 …The significance of Qatar’s hosting such an event is undeniable — a country that could fit within the footprint of Connecticut, inhabited by fewer than 2 million people, will be welcoming the world’s biggest sporting competition. Qatar’s methods in securing the necessary votes to host the tournament have been heavily scrutinized, with investigations conducted across Europe and within FIFA itself that found a number of irregularities in the voting process. A number of senior FIFA figures, including the Qatari head of the Asian Football Confederation, Mohammed bin Hammam,have been suspended as a result — and as such, the legitimacy of Qatar’s winning bid has been called into question. Concerns have also been raised regarding the country’s questionable human rights record and commitment to Sharia law — homosexuality is outlawed in Qatar. There have even been suggestions that the tournament could be prised away from Qatar if concerns over the intense heat in the summer months result in a scheduling switch to the winter, all of which would open the awarding of the tournament up to litigation and legal challenges. If Wimbledon can air-condition its Centre Court by pumping 143,000 liters of air each second to keep the interior temperature at a constant, is it really so far-fetched to believe Qatar can do the same thing, but on a bigger scale? The obvious counterpoint is the size of Centre Court (15,000 capacity) compared to what one would expect for the world’s biggest soccer tournament. Yet the officials in charge remain unconcerned. “Our bid was based on the sole intent of hosting the 2022 World Cup in the summer,” says Nasser Al-Khater, director of communications for Qatar 2022. FIFA’s technical inspectors attended a Qatari League match at Al-Sadd Stadium and experienced the cooling systems firsthand. “Our commitment to a summer tournament and this technology is grounded in the legacy it will offer for Qatar and countries with similar climates,” Al-Khater says. However, if the welfare of traveling fans, rather than players, is the prime concern of those who oppose Qatar’s hosting of the 2022 World Cup, perhaps they should draw a comparison with Las Vegas. This may seem to be an irrelevant parallel at first — casinos are, after all, entirely indoors and sealed-off from the outside world — but Vegas welcomes a staggering 6 million tourists(Qatar expects 400,000 for the World Cup) between June and July, when the average temperature in the Nevada desertreaches a high of 106 degrees, just like in Doha. And just as Qatar proposes, Las Vegas looks after its visitors by providing air-conditioned walkways, monorail systems and covered public areas. If any nation can air-condition its entire country, or at least the parts it plans to use for the World Cup, it’s Qatar. Many of the venues used at London 2012 — including the centerpiece Olympic Stadium — were largely temporary facilities, with some arenas completely dismantled after the closing ceremony. 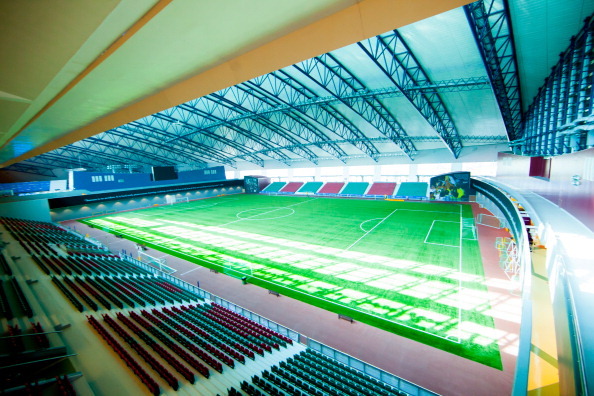 Qatar has pledged to follow a similar model, with a number of modular stadiums set to be dismantled and relocated in developing countries following the conclusion of the event. However, the promise of sustainability has been extended further to include its infrastructure programme. According to FIFA’s bid evaluation report, Qatar currently has 44,000 hotel rooms, far short of the 90,000 recommended by FIFA for hosting such an event. To reach that target, Qatar is planning to dock cruise ships along its shoreline, with one particular floating hotel, Al-Wakrah, set to accommodate up to 20,000 supporters. What is certain is that a number of scaremongering myths have indeed skewed public opinion of the 2022 World Cup. For a start, alcohol isn’t illegal in Qatar but rather prohibited in public places, as it is on London public transport. Nobody has been executed in Qatar in more than a decade, unlike in the USA where 43 convicts were killed by the state in 2012 alone. Qatar isn’t a democracy and doesn’t allow political parties, but in comparison to other Arabian countries, it actually adopts a distinctly Western social tolerance. It’s also worth pointing out that while allegations of bribery and skullduggery dog the legitimacy of Qatar’s winning bid, the Gulf nation ranked 27th worldwide in Transparency International’s latest Corruption Perceptions Index, 42 places ahead of Brazil, host of the 2014 World Cup, and 106 places ahead of Russia, host of the 2018 tournament. Of course, one thing Qatar can’t claim to have is a strong footballing history and heritage, regardless of what measures are being taken to change that. But does that have a bearing on whether Qatar can host a successful World Cup? Ultimately, this vision goes deeper than football or sport. Emir Sheikh Hamad sees the World Cup as just another detail in a broad social blueprint for the whole of the Gulf region. The growth and development of Doha’s West Bay, now a towering hub for finance and investment, presents a statement of intent for this tiny desert peninsula. In fact, financial viability might well be the one checkbox that Qatar can’t claim as being ticked. It’s difficult to understand how Qatar will claw back an outlay of $115 billion, let alone make a profit on top of that. To read the entire report visit the ESPN website.